Golf Cars of Tampa bay has been providing quality custom golf carts, golf cart parts, and accessories in Tampa Bay, Florida for over a decade. Golf Cars of Tampa Bay is the ultimate destination for golfers, golf cart enthusiasts, golf cart hobbyists. We specialize in building custom golf carts. Whether you are looking to extend your two seater or looking to make a 4×4, we can turn your ordinary golf cart into something that is unique to you. We are the premier custom golf cart builder in South Florida. 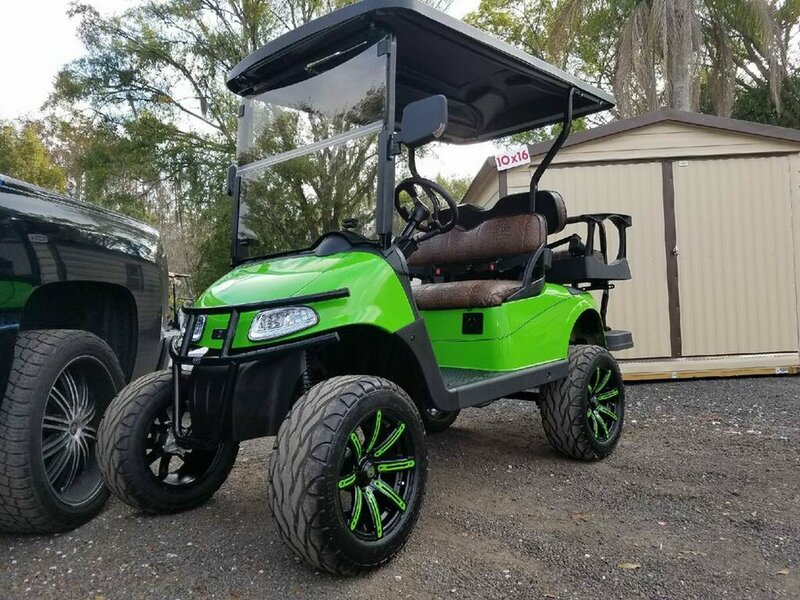 We also have a large inventory of parts and custom accessories such as: custom wheels, tires, and lift kits for your custom golf cart in Tampa Bay, Florida.